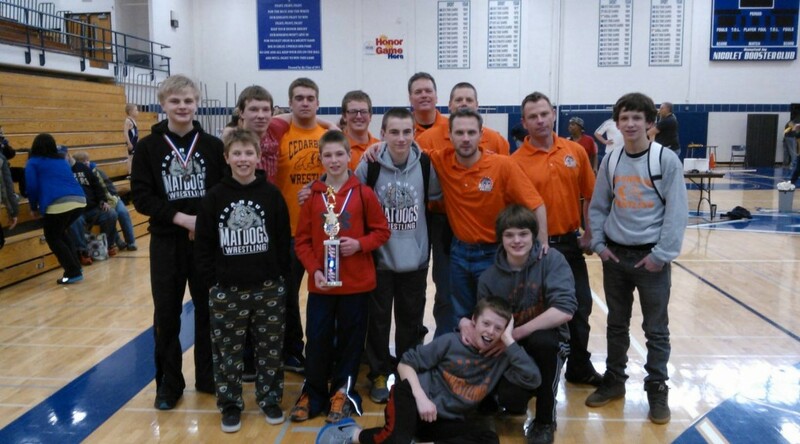 We had 23 Matdogs at the Nicolet Youth Tournament Sunday (03/09). The team did great! The Matdogs took home the 2nd Place team trophy. Max Grudzinski and Andy Temmer took 1st. Jake Roden and Evan Sova took 2nd with 3 pins each. Great job by everyone today.